Holidays in Barcelona are just fantastic. Between the exciting nightlife, the beautiful beachs, the stunning Modernisme architecture, the unique cuisine, the cool people and rhythm of life you’re sure to find something you’ll enjoy on your holidays in Barcelona, the capital of Catalonia. Combining days on the beach with culture and world-class sightseeing in this incredible destination is now really easy, from cheap plane tickets to great hotels at local prices you’ll be amazed by the simplicity of your travel to come. Catalan gastronomy is a significant part of any Barcelona holidays, the best introduction to its heart and soul. You should know that in Barcelona you usually don’t invite friends at home, locals prefer to go out for tapas, bars and restaurants.. You’ll quickly understand why.. Bars and tapas bars are frequently the best shortcut to find your friends : a quick bite with a local beer or a vermut.. It’s a social and very important moment, you talk, listen to music and have fun till diner time. Restaurants offer a traditional three-course meal. Barcelona is very proud of its Catalan traditional cuisine which is – with no surprise - is especially good for its seafood. But local meat is not forgotten as well as fresh vegetables from the market. And local catalan restaurants like:Can Vallès, Ferrum, Arume..
Antoni Gaudí is the world famous name associated to Barcelona. 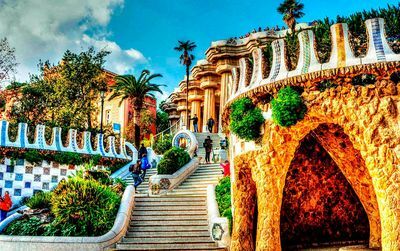 The genius modernist architect has shaped the skyline of the city with its incredible Sagrada Familia but many other iconics of its buildings and places are to visit as well like the Park Guell or the Casa Milà. The Catalan Art Nouveau should not make you forget to visit the Gothic Barcelona, the old town, its beautiful churches and narrow streets.. The creative buzz continues into the 21st century, with Jean Nouvel's eye-catching Tour Agbar leading the way. 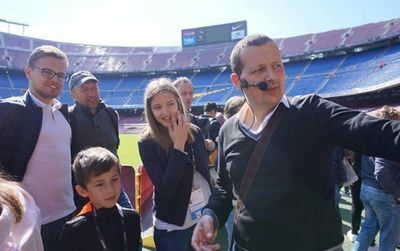 Get the most out of your holiday to Barcelona and immerse yourself in its culture. Picasso spent the first period of his young adult life and exhibited his first works in Barcelona. Today you can visit the Picasso museum, located in the Born district. Another monster of modern art Joan Miró was a Catalan, born in Barcelona. Painter, sculptor, and ceramicist. A museum dedicated to his work, the Fundació Joan Miró is the most zen museum to visit Barcelona. Travelling in family? Don’t’ worry the city is really fun for children as well. And the magical word in Barcelona for children is Tibidabo. On the highest point of the city Tibidabo is the family amusement park by excellence for youngsters and their parents as well.. Once you’ll done it you should head to the Poble Espanyol which synthesizes the architectural history of Spain in reproductions.. Address : AV del Marquès de Comillas. 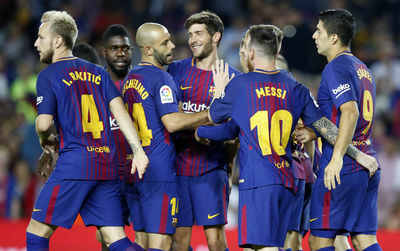 Booking a getaway to Barcelona with Barcelona.com means you will always get the best late deals. 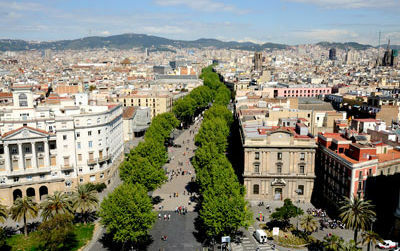 We pride our deals with partners for hotels in Barcelona and apartments to gives best prices for your stay!